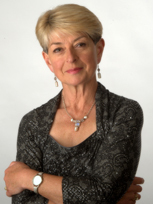 Kay Alexander MBE was educated at Frensham Heights School in Surrey and read English at Birmingham University. After graduating, she joined the BBC as a reporter for Radio 4 current affairs and magazine programmes. Kay then joined BBC Midlands television at Pebble Mill as a continuity announcer. She soon graduated to presenting the nightly news and current affairs programme ‘Midlands Today’ and was its longest-serving presenter. 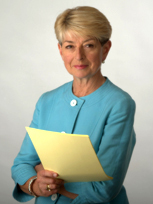 She was a feature reporter for the programme, as well as presenting the Breakfast and Lunchtime news, and is very proud to have been the face of Midlands Today news for forty years. Recently, she has been asked back to present a series of feature reports for Midlands Today. 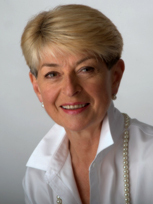 Kay was Chairman of the Birmingham Assay Office 2006 - 2012, the first woman to chair any British Assay Office. In 2013, Kay was awarded an MBE for services to broadcasting and charity and given an Honorary Doctorate by Birmingham University in recognition of her services to broadcasting. 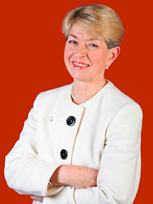 She was a Board Director of the Birmingham Hippodrome Theatre 1996 - 2005. She is a Patron of Acorns Children's Hospice in Birmingham, the Mary Ann Evans Hospice in Nuneaton and the breast cancer charity Breast Friends. Kay is also an Ambassador for the National Forest. In 2016 Kay was asked to present a feature film "The Path of Inspiration" about the history of Russian Jewellery Art from 2000 BC to the present day. It was filmed entirely in Russia, a wonderful and exciting experience for Kay, and was premiered at the Venice Film Festival in September 2016. Kay is a fascinating and inspiring keynote and after dinner speaker and a highly effective and charismatic conference chair and awards host.